Qatar is accused of working 1,200 people to death in its £39billion building bonanza for the 2022 World Cup. 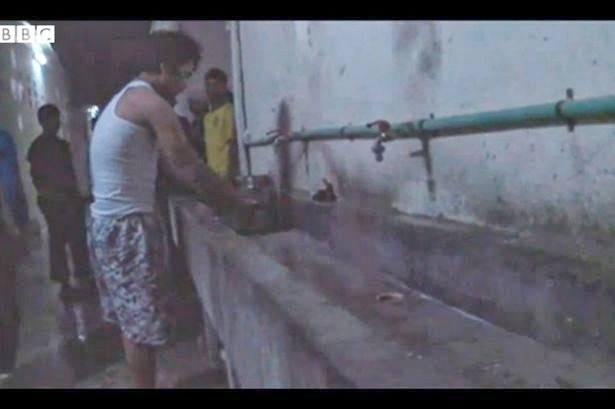 An investigation by the Mirror into the oil-rich Emirate revealed horrific and deadly exploitation of migrant workers, who are forced to live in squalor, drink salt water and get paid just 57p an hour. FIFA faces renewed pressure to show Qatar a World Cup red card following the exposure of mass deaths and vile exploitation of construction workers in the region. A team of British trade union leaders and MPs warned that the 2022 tournament is being built “on the blood and misery of an army of slave labour”, after uncovering appalling abuse during a visit to the Gulf monarchy. Qatar is accused of working 1,200 migrants to death since being awarded the World Cup in 2010 and campaigners have insisted the shocking death toll could reach 4,000 before a ball is even kicked in the Finals. On a mission organised by Geneva-based Building and Woodworkers’ International, a global federation of construction unions, I witnessed and heard distressing evidence of systematic mistreatment on an industrial scale. Sneaking into squalid labour camp slums under the cover of darkness, frightened workers lured to Qatar with false promises of high salaries complained of persecution. Huge natural gas deposits fuel a £39billion building bonanza with the World Cup set to be the crowning glory of the desert nation’s development dash. But the award of the tournament is wreathed in accusations of corruption and fears footballers will collapse in temperatures hitting as high as 50C in the summer. This led to calls that the Finals should be moved to winter but when one FIFA official hinted at this , the footballing body moved quickly to quash the rumour. For the neglected migrant workers, the scorching heat is just one of the crippling conditions they battle day in day out. Their pleas for midday breaks away from the blazing sun are widely ignored. The Mirror investigation uncovered poor safety conditions resulting in high death rates. Workers, from countries like India and Nepal, are paid as little as 57p an hour – sometimes these wages go unpaid for months. They are physically beaten and have their passports confiscated by gangmasters. In one camp in downtown Doha, the capital, I saw nine workers crammed into a tiny, cockroach-infested room. Just a few miles away I later watched the elite of Qatar – the richest country per head on earth – pull up outside a Gordon Ramsay restaurant in Ferraris and Rolls-Royces. In the sprawling Al Khor labour camp about 35 miles North of Doha the workers, who asked not to be named, said they were herded onto buses for two-hour journeys to work. In what is known as China Camp, the migrants – who have to use disgusting communal toilets – said they were also forced to drink salty water. Steve Murphy, general secretary of Britain’s Ucatt construction union, told me: “I could cry for these lads. I’ll never forget what I saw in the labour camps. 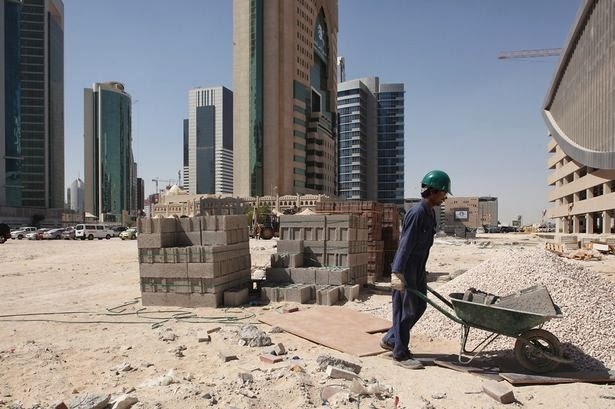 Under the feudal kafala system of control operated in Qatar the imported 1.2 million migrant workers are effectively bonded labour, unable to leave jobs or the Emirate without permission of employers. Trade unions are banned while laws are routinely flouted.